Teladoc cut loose its COO/CFO after insider trading and sexual misconduct allegations. Mark Hirschhorn resigned on 17 December from the telemedicine company after being instrumental in the company’s recent revenue and visit growth (albeit with a downward spiral on the share value). Mr. Hirschhorn was alleged to have not only have had a sexual relationship with a (much younger) subordinate while married, but also engaged in mutual insider trading…of Teladoc stock. The steamy details of the affair(s) and an equally seamy tale of a whistleblower’s fate are in the Southern Investigative Reporting Foundation’s ‘The Investigator’. For those more concerned about Teladoc’s financial future, a bullish analysis of their stock value and trends is over at Seeking Alpha. Adding to the fire: a class action lawsuit was also filed against Teladoc on behalf of the company’s shareholders, accusing the company of misleading or false statements. Also Mobihealthnews. [grow_thumb image=”http://telecareaware.com/wp-content/uploads/2015/10/Better.png” thumb_width=”150″ /]Better is sadly not. This two-year old service that provided personal health assistance, including a real, live health assistant, to guide members through health questions, the thickets of insurance claims, finding doctors and specialists, apps and more, announced earlier this week that it was ending operations as of 30 October. While it was announced via their Twitter feed on Tuesday, most of the industry learned of it through Stephanie Baum’s article in MedCityNews today. Better formally debuted only 16 months ago [TTA 23 Apr 14] and at the time this Editor felt that it was a service in the right direction, a kind of ‘concierge medicine for the masses’ needed when individuals have to direct more and more of their own care. A solid start, as our Readers have seen, does not guarantee success, but this fast fail is still fairly shocking. A concern at the time was the pricing for the full service model at $49/month, which later became the family price (individuals were $19.99/month). CEO/co-founder Geoff Clapp was among the most Grizzled of Health Tech Pioneers; he had been a co-founder of Health Hero/Health Buddy from 1998 to its sale to Bosch Healthcare, a very long pull in telehealth, and he had spent much of his post-Health Hero time generously advising other startups. Yet despite the involvement of blue chip Mayo Clinic as a service provider, its financial backing from their investment arm and socially-oriented VC Social+Capital Partnership, it managed to raise only its initial seed funding of $5 million (CrunchBase). 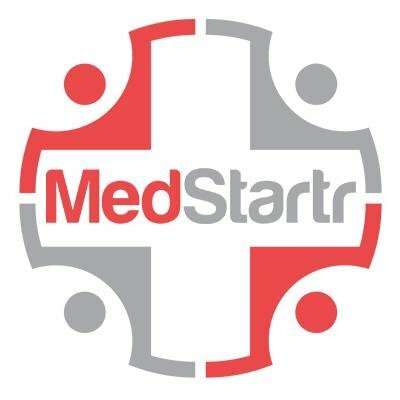 About Better: they have joined with Johns Hopkins’ Sibley Memorial Hospital Innovation Hub to provide support for orthopedic episodes of care. These generally are for a 90 day period which extends from scheduling the procedure through post-discharge recovery, and are usually tied into a bundled payment from an insurer or Medicare. Johns Hopkins press release Hat tip to CEO Geoff Clapp. Do startups truly threaten the ‘healthcare establishment’? Or are successful startups fitting into their game? Chris Seper in MedCityNews paints the picture of one side of a quandary. The ‘healthcare establishment’ fundamentally and to its detriment does not understand and is threatened by the startup and innovation process. A startup may begin with an idea which is, in his words, ‘almost always flawed, sometimes deeply’. If the founders are smart, they will test their ideas, validate them and change them appropriately. If not, they will fail. But it is easier for the Establishment to point at the most egregious of the bad ideas and use them to rationalize the status quo. But being congenital contrarians, we paint the house on the other side of the street. Has the Establishment caught up with–or in some cases, co-opted startups, making them and their funders ‘do their diligence’ and be more cautious before emerging? This Editor would argue yes, and largely for the better. **The ‘Wild West’ days are over. A few years ago, a truly bad or deeply flawed health tech idea or could easily find funding, because it was all blank slate, new and ‘transformative’.The sexiest hooks were Quantified Self, sleep, employer health incentives, interactive coaching, genomics, app prescribing and (last) wearables. A lot of founders imagined themselves as the Steve Jobs of Healthcare, down to the black turtleneck. Now there is a history of success and failure. The railroads reached the dusty frontier towns. [grow_thumb image=”http://telecareaware.com/wp-content/uploads/2014/06/healthkit-apple-wwdc-2014-87_verge_medium_landscape.jpg” thumb_width=”170″ /]Breaking and developing… Apple announced their long-rumored health tracking app [TTA 22 Mar] this morning at their WWDC (World Wide Developers Conference) in San Francisco. The consumer app is called Health (not Healthbook) and the developer platform HealthKit which are both part of iOS8 for iPhones and iPads in the fall. HealthKit facilitates pulling in of health data from third-party developers so that all health-related information for the consumer user is in one ‘hub’, similar to what Apple’s Passbook app does now as a ‘virtual pocket’ for airline boarding passes, movie tickets and coupons. Apple’s Craig Federighi, senior VP of software (pictured, courtesy of The Verge), made the announcement of the app and platform as part of the broader debut of iOS8 this morning. In Mashable, the news was applauded by the CEO of leading app MyFitnessPal as a big validation. In his opinion, Apple would work with the existing field of apps and devices. Leading fitness bands Jawbone and Fitbit had no comment. Fitbit was shown during the presentation: CNET (one of six pictures here) and The Verge (article below). The latter makes the excellent point that Jawbone, Fitbit and the Nike FuelBand have all been sold in Apple’s stores. The speculation is that Health will be a key part of the features of the iWatch to come, but Mashable in quoting Skip Snow of Forrester Research does bring up a significant wrinkle. Bluetooth LE as a network protocol chews up a lot of battery power, and bigger batteries make for clunky devices. Not exactly the Apple design ethic. Could it be that what’s delaying the iWatch is development of a new, more power-efficient network standard? Update 3 June: With iOS8 having apps communicating with each other, have the Apple-oids opened the door for a Happy Hacking Holiday? Stilgherrian in ZDNet points out that the ‘attack surface’ in info security-ese just got a whole lot larger. A future ‘oopsie’? More information: Mashable can’t stop mashing stories: Apple Reveals iOS 8: Interactive Notifications, Health App and More, Apple Gets Into Fitness Tracking With Health App and HealthKit for iOS 8, Apple’s First Step Into Health Tracking Is Small But Powerful. Mobihealthnews gets into the act noting Epic’s involvement: Apple reveals tracking app HealthKit and partners with Mayo Clinic, Epic. The Verge positively is on said verge with Apple HealthKit announced: a hub for all your iOS fitness tracking needs. Is Better going to where better healthcare should be? 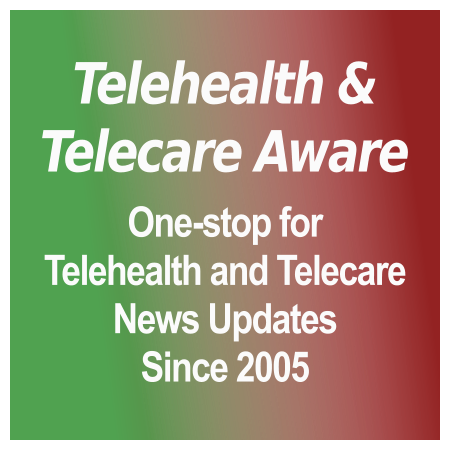 [grow_thumb image=”http://telecareaware.com/wp-content/uploads/2014/04/pha.jpg” thumb_width=”150″ /]Making its formal debut last week was Better, an iPhone app (Android to come) developed in conjunction with and backed by the Mayo Clinic. The aim of Better is to deliver information and care no matter where people are located. The analogy co-founder/CEO Geoff Clapp uses is ‘AAA (RAC or AA=UK) for healthcare’ but it seems to be a bit more developed than emergency tows and TripTiks. In its free version, it provides complete access to Mayo Clinic educational content tailored to the user’s interests and provides access to a personal health record (PHR) for the family. In the $49/month premium version, Mayo provides 24/7 national access to a personal health assistant available by phone and video. The PHAs can coordinate your and your family’s providers, help navigate your insurance and billing and coordinate follow up care. If needed, the PHA can connect the user with a Mayo Clinic nurse who can explain symptoms, potential causes and recommend next steps. The paid version also provides a symptom checker, built with algorithms and using the Mayo database.